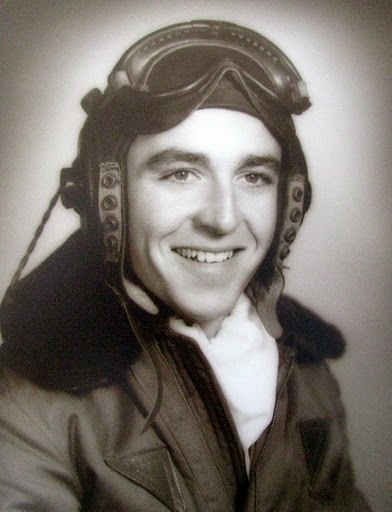 At 21 he was taking Primary Flight Training at Randolph Air Force Base, Texas in 1948 when this picture was taken in his leather flying jacket, flying cap and goggles. Photo provided. “I got hit pretty good right after I dropped my bombs on the bridge,” the 83-year-old Punta Gorda Isles, Fla. resident said. “All of a sudden I lost power and the engine started heating up. “I wiggled my wings for the other guys to join up with me. When they joined up I told them I didn’t have full power and I must have taken a hit. The other guys started spreading out and getting away from me and I didn’t know why until I got back to base. They were afraid I might explode any second,” he said. The hour-long flight home was tough and tedious for the young aviator who somehow managed to keep his badly damaged fighter in the air. About a third of that flight was over enemy territory. “As I landed the guy in the control tower said, ‘Move your jet to the end of the runway. When you get down there shut it down.’ I did what I was told then I jumped out of my F-84 and took a closer look at the massive hole in the back of my airplane. This wasn’t the first time he had a close call while flying over North Korea in MIG territory. Enemy fighters would attack them as they flew their F-84s to the target loaded with bombs. “The MIGs would try and make you drop your bombs before you reached the target. If you did that they would fly away home,” he said. “We’d start running into MIGs when we were flying up around the Yalu River in North Korea. “You could pretty much tell who was flying the plane by the way they handled their MIG. If they pealed off quickly you knew they were Russian,” Burns said. “One day we got in a dog fight over North Korea and I ended up with a MIG on my tail. One of our guys yelled, ‘You have a MIG right behind you,’ he said. “I knew I could out fly him if I could get down on the deck. So I came down to 5,000 or 6,000 feet and started making tight, level turns. Any time we got in trouble with a MIG on our tail we’d do this and eventually the MIG would fly away,” he said. Burns was lucky. That’s what happened this time and the F-84 pilot and his “Thunderjet” escaped unscathed. His aviation odyssey didn’t start in Korea with the Air Force. Burns joined the Navy at the tail end of World War II. He became an 18-year-old radio operator and back seat gunner in an SB2C “Helldiver” that flew off the deck of the carrier USS Randolph. “By the time I came aboard the Randolph was on a Mediterranean cruise and we made 40 takeoffs and landings from the carrier,” Burns said. “I only had one close call. We started taking off and the catapult aboard ship malfunctioned. The nose of our SB2C was hanging over the front of the ship when we came to a stop. A few feet more and we would have gone in the sea and the carrier would have run over us. “When it came time to re-up I was one month too old to get in the Navy’s Aviation Cadet program. So in 1948 I joined the Air Force’s cadet program at Randolph Field in Texas. I started out flying AT-6 prop jobs in Primary. In Advanced Training at Nellis Air Force Base we flew P-51 ‘Mustangs.’ It was a sweet airplane. I loved it,” he said. 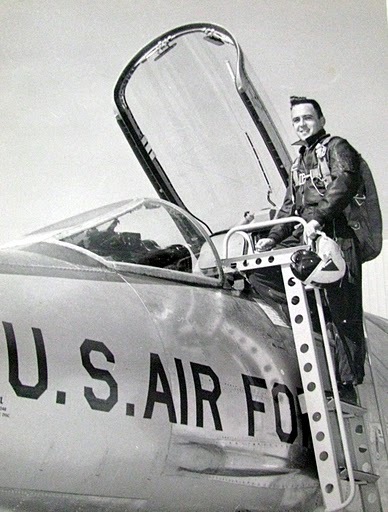 He got his wings in 1949 and moved on to Shaw Air Force Base in South Carolina where he learned to fly F-84s. About a third of the way through his year in Korea Burns was made a forward air controller. He and two sergeants were on the ground along the front lines with a couple of Jeeps and a radio calling in air strikes. “It was July 1951 and I reported to the 2nd Infantry Division. They checked me out on how to do this forward air controller stuff and sent me to the front lines right away,” he said. “When I got there I was told the colonel, our battalion commander, was up on a hill. So I started walking up the hill toward him and all of a sudden North Korean mortars started dropping right near me. Burns returned to his F-84 unit and completed his remaining 60 plus missions. He didn’t go home right away after completing his hundredth combat flight. “That was a good thing because when I went home I had just been promoted to captain. I spent the next four years at Turner Air Force Base in Georgia flying F-84s. In 1956 several of us were picked to go to Edwards Air Force Base in California and test fly the F-101 “Voodoo” jet fighter. From there he was stationed at Bergstrom Air Force Base in Austin, Texas. It became an F-101 fighter base while he was there. 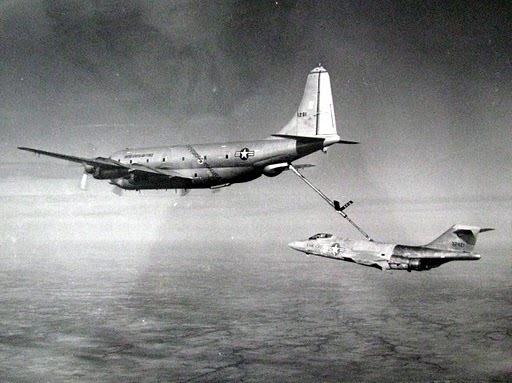 “About this time I got involved in inflight refueling tests. We were some of the first pilots to do refueling in the air from a tanker,” he said. “A few months later we flew our F-84s all the way from California to Japan. We refueled in flight before we reached Hawaii and then we island hopped the rest of the way to Japan,” Burns said. “Myself and a friend were the first Air Force officers to flying fighter jets across the Atlantic and the Pacific,” he proudly said. In 1962 he and his family were stationed in England. Burns flew F-101s there. They returned to the States and were based in George Air Force Base in Apple Valley, Calif., just north of Los Angeles, where he started flying F-104 “Starfighter” supersonic interceptor jets. By the time the Vietnam War came along in the mid 1960s Burns had switched to the maintenance end of the Air Force. He was assigned to a base at Udom, Thailand that had a little bit of everything: fighters, bombers and helicopters. “I set up an aircraft recovery system there. We did a good job of recovering all kinds of aircraft,” he said. His next post was the Pentagon. He wasn’t happy with it, but he kept his mouth shut and became a lieutenant colonel while serving four years in the five-sided monstrosity. Burns ended his 30 year, 8 month, 16 day military career as deputy commander for logistics of a fighter wing based at Langley Air Force Base, Va. 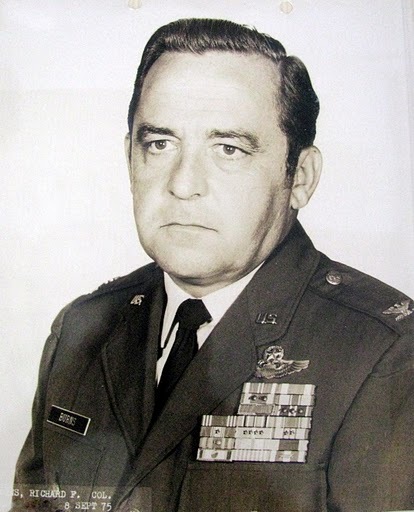 He retired a bird colonel on 1 July, 1976. 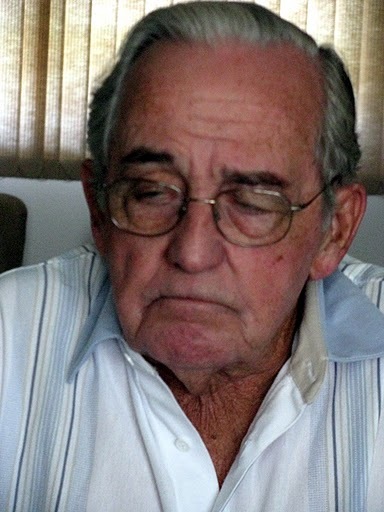 He and his wife, Dorothy, moved to P.G.I. where the couple purchased a lot years earlier. They built a home and moved into it with their two daughters, Diana and Debbie, in March 1977. For the next 10 years he sold real estate when he wasn’t golfing. “It’s been a great life,” Burns said. This story was first printed in the Charlotte Sun newspaper, Port Charlotte, Florida on Monday, June 20, 2011 and is republished with permission. Click here to view Burns’ Collection in the Library of Congress’ Veterans History Project.